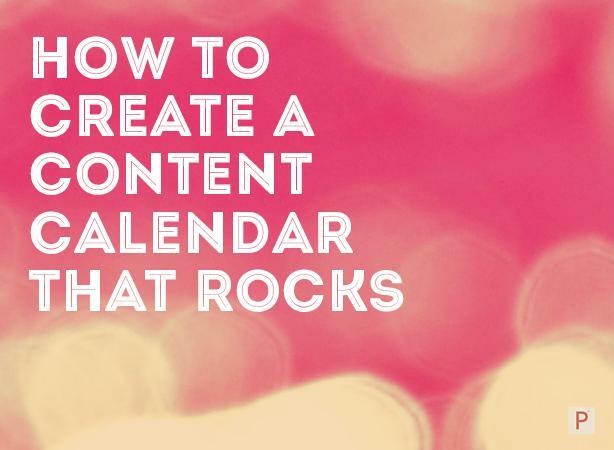 If you’re anything like me, you are always looking for an easier way to stay organized with your content marketing plans. For the longest time, I used an Excel-style spreadsheet in Google Drive with different tabs for my editorial calendar, which included ideas, keyword focus, published content and the weekly task list. It was really effective for us. In fact, it allowed us to go from zero visitors to our Real Estate Marketing Academy with over 50,000 unique visitors per month. As many of you know, I work with a boatload of brilliant engineers who, quite frankly, think differently than many marketing folks. No dig against marketers (since I consider myself to be one) — it’s just that engineers live and die by efficiency. Most engineers that I know use some sort of ticketing system to manage all of the various projects and tasks required to build complex software and meet required deadlines for repeated launches and revisions. I started to think about the flexibility of the ticketing system, and the ability to group individual tickets by topic, assign them to individuals, and give the time-specific deadlines with some level of prioritization. I experimented with a few, like Asana (which I found to be too complex for this singular task) and JIRA (which doesn’t have the kind of elegant interface that gets marketers all fired up). I’ve finally settled on Trello, and I have to say it’s sort of a lovefest. For one, it’s free. And who doesn’t love free? But besides that, it’s a Web-based ticketing platform that organizes information via boards, lists and cards. A card is an individual item. A list is a group of items. A board is a group of lists. Sounds complicated but it isn’t. Let me show you how I set up ours. I start by creating a board called Content Calendar, and I invite all of my collaborators to have access to the board. When I say collaborator, I’m talking about anyone who participates in creating content with me — other writers, graphic designers, guest bloggers, etc. Then I create lists for the things that are important for me to keep grouped together. On our calendar, I have something called C-Suite Content Brainstorm for content I want the executives to work on. Then I have a Speaking & Conferences list for events where I will be speaking because I need to create slides for those and will need the dates on a calendar to coordinate with other marketing activities. Then I have a Helpful Tools list that might be useful as I’m writing, or for the other collaborators. This could include things like a style guide or a guide to scheduling a post on WordPress — so everyone is doing it the same way. You get the idea. The biggest list is our Content Brainstorm. I invite everyone on our team to add to this list. I get inspired by the strangest things and want a place to put all those ideas, so when it comes time to actually create something, I’m ready to go. Then I have an Approved Ideas list. I think of this as ideas that I know I want to produce but they are not yet in production. I sometimes assign them to a content creator so he can start ruminating on the upcoming project. But I don’t expect anyone to be doing anything about approved ideas yet. The next list is what I call In Production but Not Scheduled. These are all assigned to the individuals and are currently in draft or final form, but we haven’t assigned a publication date. This list often includes infographics, which are longer-form pieces that have multiple collaborators and need more time for execution. Once ready for publication, I have lists for Individual Weekly Production. An example would be Content for Week April 3rd to April 9th. I like to keep only three or four of these weekly content lists visible at one time (I archive lists in Trello a couple of weeks after we’ve published the content). The weekly lists have specific dates and times when we will be posting on our website. Showtime. Some of Trello’s really cool features include the ability to drag and drop cards between lists, and that individual cards can house visual references like photos that you want to include or resources that you want to reference. When you assign a card to someone, that person is notified on every piece of communication on that card throughout the publication process. You can also move lists around so they are in an order that works for you. Since our content team is all internal, I don’t worry about the permissions of individual contributors. If you want multilevel permissions control, you have to pay. But even that is super cheap. Trello is a great tool and the iOS app allows me to organize everything on the go — it looks and works just like the desktop version. One of the other things that we do to help collaboration is post a link within the card that connects to the shared Google doc of the piece in production. This allows us to see the progress of collaborators and allows us to avoid the inefficiency of email. The only downside of Google Docs is that there isn’t a track changes feature, but don’t let that stop you. Here’s a sample Content Calendar Template that I created for you on Trello. I won’t take it personally if you change it up. I only ask you to let me know what’s working in the comments below, and that you share it! Sharing lets us know you like what we are creating for you.